The SmartCitiesWorld Advisory Board help provide advice on the direction of the site and insight into key topics affecting smart infrastructure and the challenges of integrating different industries. Josef is an Associate in Arup’s Foresight, Research and Innovation team. 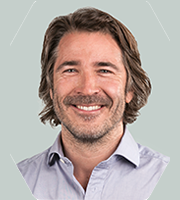 As Global Foresight Manager he is responsible for the delivery and management of Foresight services, tools and projects globally, including Arup’s Americas, Australasia, East-Asia, Europe and UKMEA regions. His clients and collaborators include Arup businesses and leadership teams as well as external organisations from a broad range of sectors. 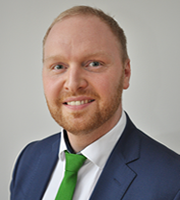 Josef has a background in innovation management and corporate foresight. He specialises in exploring and envisioning the future of the built environment. He works across all scales and sectors, including cities, buildings and spaces. He is particularly interested in how trends in design will transform future human experiences; and how people themselves will impact future design. Josef’s projects combine corporate foresight with Arup’s global engineering and consulting expertise. Recent work has focused on trends in urban mobility, the future of green infrastructure in cities, and the development of smart city ecosystems. 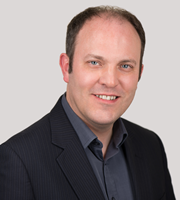 Stu is the strategic lead for Cisco’s smart cities team in the UK. He is focussed on bringing innovative solutions to Cisco’s public sector customers and partners and on connecting people to the services they need. He believes that smarter and more connected communities will make a huge difference to the lives of people living and working in the UK. By connecting the unconnected Cisco will change the way that people live, work, play and learn. He believes that technology has a key part to play in making communities smarter, healthier, safer, more productive, greener and more welcoming and that towns, cities and other communities need to be seen and managed as a single joined up entities, not as multiple separate silos. Erik is driving the Ericsson Networked Society vision and developing insights in the Networked Society Lab. He is currently working as a Networked Society Evangelist with around 150 presentations annually both externally and internally towards mainly C-suite across different market segments. Erik is working with Ericsson strategic marketing with focus on future opportunities, business models, future consumer behavior, transformation of networked industries, and future societal needs, doing strategic advice and consulting to customers in the area of M-2-M, industry verticals, consumer segmentation and future strategies for telecom, TV and adjacent industries. Rob wrote The Internet of Things: A critique of ambient technology and the all-seeing network of RFID [Network Notebooks 02, Institute of Network Cultures]. 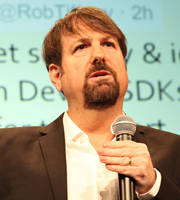 He is the Co-Founder of Bricolabs & Founder of the Internet of Things Council. Together with Christian Nold, he published Situated Technologies Pamphlets 8: The Internet of People for a Post-Oil World. Currently the Community Manager at the EU Project Sociotal, Rob chairs AC8 - Societal Impact and Responsibility in the Context of IoT Applications of the IERC IoT Research Cluster of the EU Commission. He currently works as Community Manager at the EU Project Sociotal, and Ecosystem Manager of the Horizon 2020 Project TagItSmart. 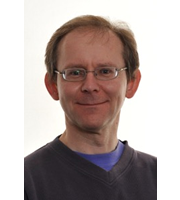 Rob is co-editor of Enabling Things to Talk Designing IoT solutions with the IoT Architectural Reference Model, Springer Open Access. A thought leader in the field of retail disruption and tech-enabled innovation, John heads up the IT innovation team at John Lewis. He is responsible for the UK department store’s in-house skunkworks, named ‘Room Y’, where he oversees the creation and developments of special projects geared around multisensory experiences. Collaborative by nature, this role sees him working across different areas and functions of the business to provoke discussion and encourage new ways of thinking. John is also responsible for the design and development of JLAB, John Lewis’ technology accelerator, which has helped build and define numerous early stage start-ups. He joinedJohn Lewis from Burberry, where he held the position of innovation architect. Rob Tiffany has recently taken up the role as CTO at Hitachi having been the Global Technology Lead for the Internet of Things at Microsoft where he’d shipped smartphones and architected + developed many of the world’s largest enterprise mobile, IoT and wireless solutions. Prior to Microsoft, he spent his career as an entrepreneur, executive, strategist and writer of bestselling books on mobile and wireless technologies. A pioneer of the mobile revolution, he drove the development of the mobile app ecosystem and co-founded the world’s first cloud-based, mobile device management company. He started his career in the M2M business in the early days of wireless, bringing unintelligent vending machines to life. 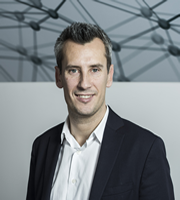 Jason Ball is a Managing Director at Qualcomm Ventures Europe and is based in London. Jason currently serves as a Board Member or Observer for Bitbar, Blippar, Cambridge Temperature Concepts, Grand Cru, Peak, Wonder PL and Wrapp. Jason has also led Qualcomm Ventures investments in Arteris (acquired by Qualcomm), Videoplaza (acquired by Ooyala), We7 (acquired by Tesco) and YPlan. Jason has 10 years experience working with internet and mobile software start-ups. Prior to joining Qualcomm, Jason was the Investment Director at London Seed Capital, a seed and early stage venture capital fund, where he focused on material science and internet technology investments. Jason holds an MBA from ESADE in Barcelona, where he was given the "Innovation and Strategy Award" from the Boston Consulting Group and a B.S. in Chemistry from Mississippi College. 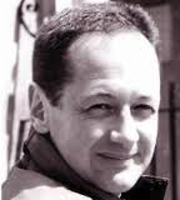 Rudy de Waele is an innovation strategist and change agent, keynote speaker, content curator and author. He assists global brands, startups, companies and organisations with cutting edge open innovation strategy using new methodologies to re-invent and transform business. His unparalleled experience, knowledge and insight, propels leaders to stay ahead of the curve. 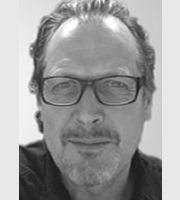 Rudy specialises in giving technology trend forecasts, analysis and ideas exchange on how to thrive in the new economy and by facilitating Socratic Design workshops on how to create meaningful business. He has helped diverse global brands such as BMW, IBM, Coca-Cola, Google, Intel, Louis Vuitton, PayPal, Samsung, Telefonica, Vodafone and World Bank. Rudy is a graduate from Singularity University and he has developed more than 200 leading industry events across more than 50 cities globally. Rudy is an associate of The Futures Agency, a member of the IoT council, a think tank for the Internet of Things and Strategic Advisor and Ambassador to Smart Cities World. 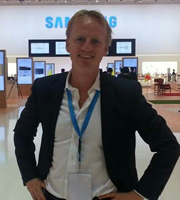 Carl Gressum leads the European Open Innovation team for Samsung DMC R&D. The team creates innovation projects with partners from Europe by matching innovators from the region with Samsung Labs in Korea. The team either uses its own funds, collaborates with Samsung Ventures, or initiates corporate funds to create new R&D collaboration projects in Europe. Previously at Samsung Carl was part of the technology sourcing team for Samsung Mobile. 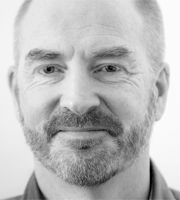 As a frequent speaker at international Internet of Things conferences, Thomas Nicholls blends his expertise in connectivity and embedded software with his excitement about the IoT’s capacity to fundamentally change our lives and all industry sectors. Thomas worked alongside SIGFOX CEO Ludovic Le Moan at Goojet/Scoop.it, where he was director of engineering on one of the world’s first, successful social B2C mobile apps. As part of the architecture team, he helped define the technical architecture for distributed, scalable data storage for the Joost startup, created and managed by the founders of Skype. Prior to that, Thomas worked on a wide range of software based projects, ranging from embedded software to web applications, in several countries. 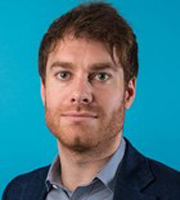 James uses his significant sector knowledge to help clients create and execute digital strategies, design great customer experiences and bring new propositions to market in the smart technology space. He is a speaker on innovation, IOT and Smart Home at numerous events across Europe. He currently works with Telensa, a world leader in connected street lighting. We was also Managing Director of SmartThings in Europe, helping to lead the expansion of the business on a global basis. 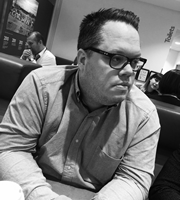 Previous to that, James was a member of the leadership team at British Gas Connected Homes (Hive) where he was responsible for the development of award winning products that helped transform customers relationship with their energy provider. He is an acknowledged expert in the "Internet of Things" (IOT) and Connected Homes space with over 20 years experience in the technology, telecoms and retail sectors, working with both start up’s and blue chip organisations. Rosalia is a Telecommunications Engineer from University Politécnica de Valencia. Executive Programme from IESE Business School. Since January 2016 Rosalía is Smart Cities Director at Telefónica within the Internet of Things recently created area. 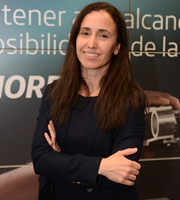 She joined Telefónica in 2011 as M2M end to end Products Director leading the development and underpinning of vertical M2M solutions such as transport, energy and industry at global level. She previously developed her career at Accenture as “Communications & High Tech Operating Group” senior manager in different roles from business development to leading consulting engagements. 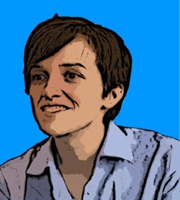 Lucy is a British-Italian #techmum passionate about people, design, art and seamless technology. At Tesco, Lucy sets the direction of technical, scientific and business innovation within Tesco Innovation and the company at large. She defines the 5 years + Mission, Vision and Strategy for Tesco retailing and liaises with external companies, innovation teams and universities looking for opportunities, partnerships and exciting collaborations in general. Lucy loves lean, innovative and unusual companies with a fresh look at things! Previously to Tesco, Lucy worked with increasing responsibilities for FTSE 100 and various Blue chip companies including T-Mobile, Nokia, Philips and Accenture. While busy doing so, she also has successfully completed a Ph.D in Computer Science at UCL and the London Business School Electives on technology ventures and strategy. Steve Norris was a Conservative Member of Parliament for Oxford East and then Epping Forest from 1983 to 1997. He was Parliamentary Private Secretary in the Departments of Environment, Trade & Industry and the Home Office and in 1992 was appointed Minister for Transport with a special responsibility for all London transport. After retiring from Parliament he was twice his party’s candidate for Mayor of London outperforming the national party substantially on both occasions. He is a former Vice-Chairman of the Conservative Party. Steve has combined a career in politics with a business career in the fields of property, infrastructure and transportation. He is currently Chairman of BNP Paribas Real Estate UK and of Soho Estates. He is also Chairman of Virtus Data Centres. He is a Non-Executive Director of Excel the Abu Dhabi National Exhibition Company conference centre in East London. He has been a member of the Boards of both Transport for London and the London Development Agency and recently served on the Treasury’s Growth Task Force for HS2. He is on the Board of Cubic Corporation, the developers and managers of the London Oyster card. Having a particular interest in infrastructure he chairs the National Infrastructure Planning Association which works with government to improve the planning regime around major projects and advises a number of clients on major schemes. 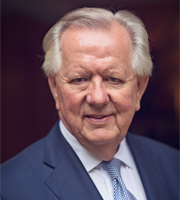 He is a Fellow of the Royal Institution of Chartered Surveyors, a Companion of the Institution of Civil Engineers, a Fellow of the Chartered Institute of Logistics and Transport and an Honorary Fellow of the Project Managers Association. Tom’s focus is on the Industrial Internet of Things, Energy, and CleanTech. 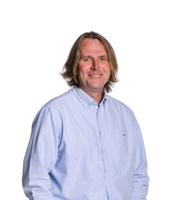 Before his work at SAP, Tom worked as an Industry Analyst for RedMonk, where he researched the latest technologies, and offered advisory services to large organizations to enable them to better understand how upcoming issues would affect them. 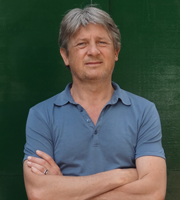 Tom started working in the tech world in 1991, and since then has founded a software company, a social media consultancy, co-founded a successful data centre, as well as organising, and speaking at conferences, and advising companies with their strategic needs. Michael runs Accenture’s UK&I Mobility Group. The group consults on mobile strategy, builds applications and API-based architectures, delivers enterprise mobility solutions and advise clients on mobile innovation. Previously in Accenture Michael established its Smart Apps Group in the UK. This group continues within our larger Mobility organisation, building smartphone applications for some of the World’s leading financial institutions, retailers, telcos... Current projects are in the area of consumer banking, mobile payments, digital wallets, mcommerce for retail.